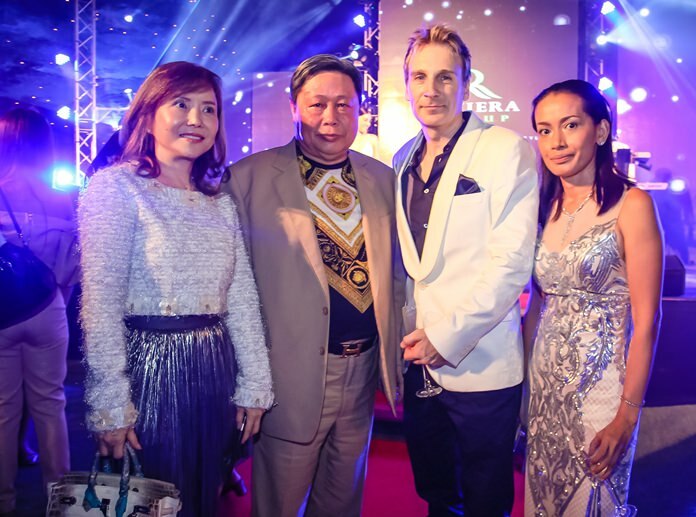 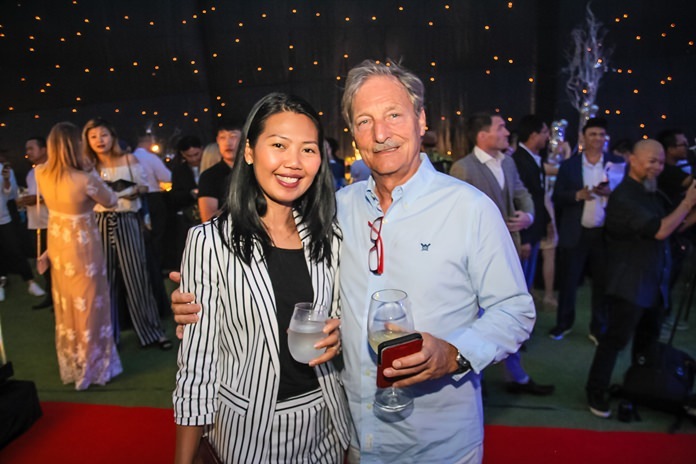 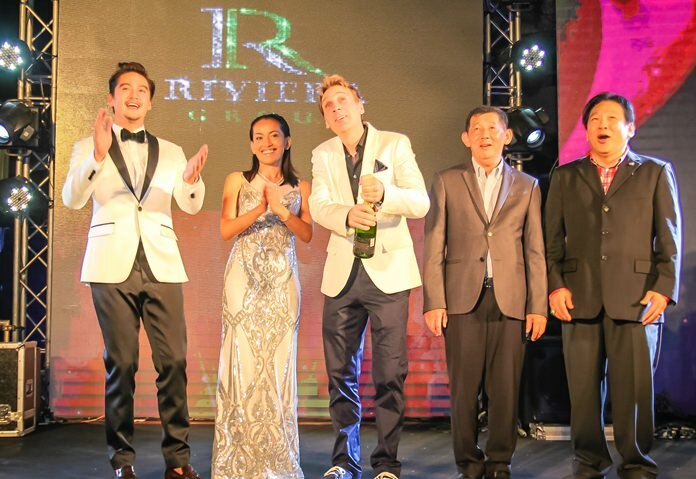 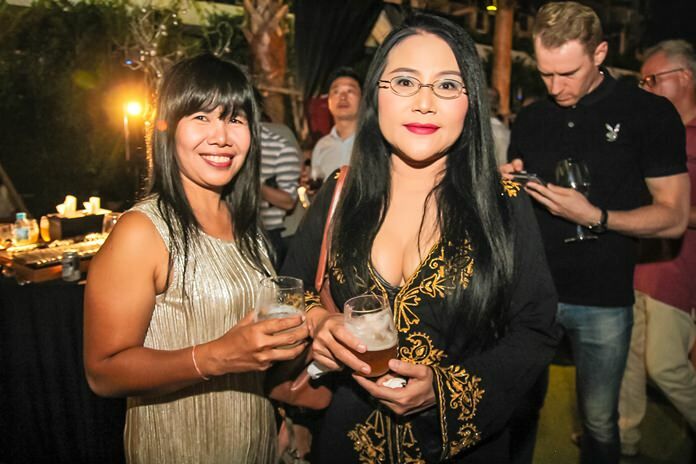 Winston Gale pops open the champagne bottle as Ananda Everingham, Sukanya Gale, Pattaya mayor Anan Charoenchasri and former MP Chanyut Hengtrakul celebrate the launch of Riviera Monaco. 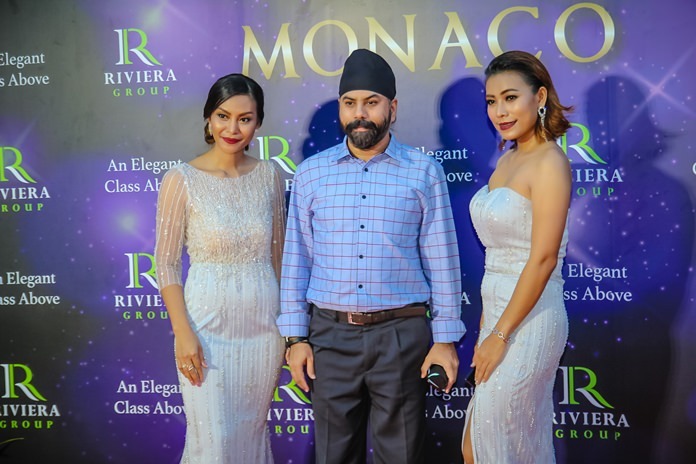 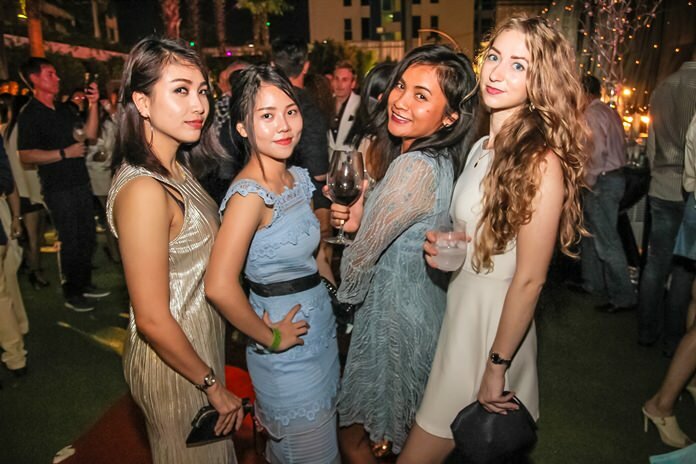 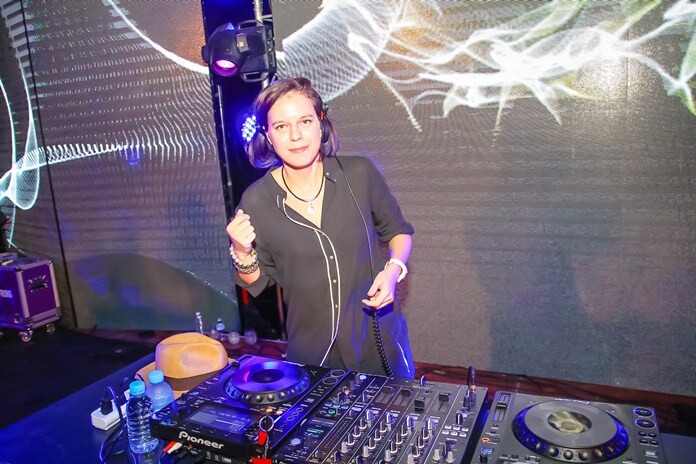 The Riviera Group continued its dominance of the Pattaya property market with the launch of its latest project, Riviera Monaco. 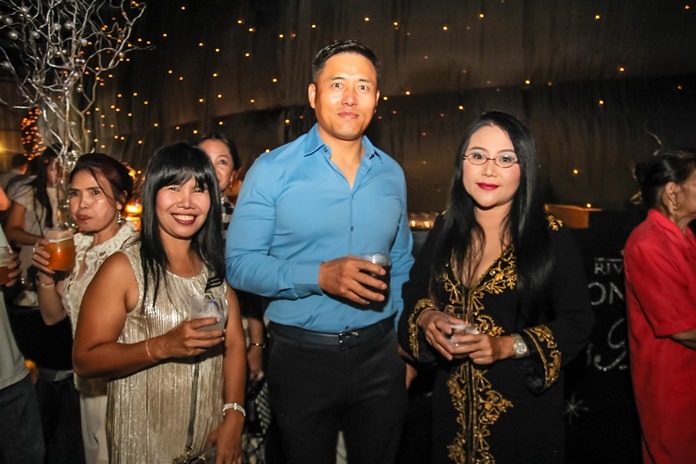 Pattaya Mayor Anan Charoenchasri and former MP and Education Ministry secretary Chanyuth Heng­trakul were the guests of honor at the June 23 launch party on Najomtien Soi 4 where Riviera Managing Director Winston Gale and his wife Sukanya welcomed guests ranging from Pattaya City Council members and leading business people in Thailand. 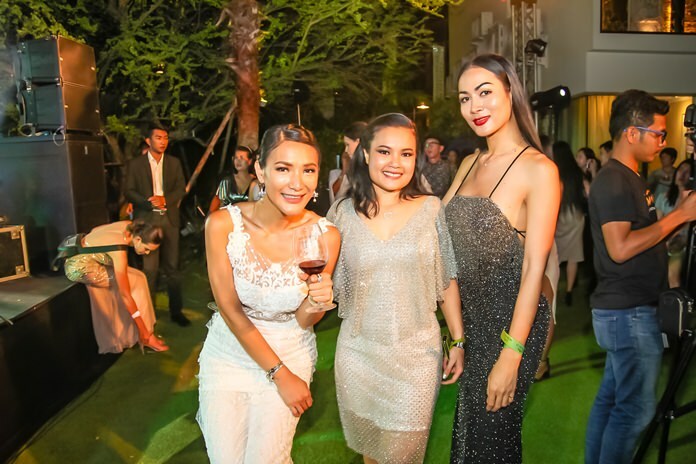 The highlight of the celebration was the glamorous theme and entertainment, with a team of popular celebrities and entertainers for the occasion including Elizabeth Sadler, Emi Stames and more. 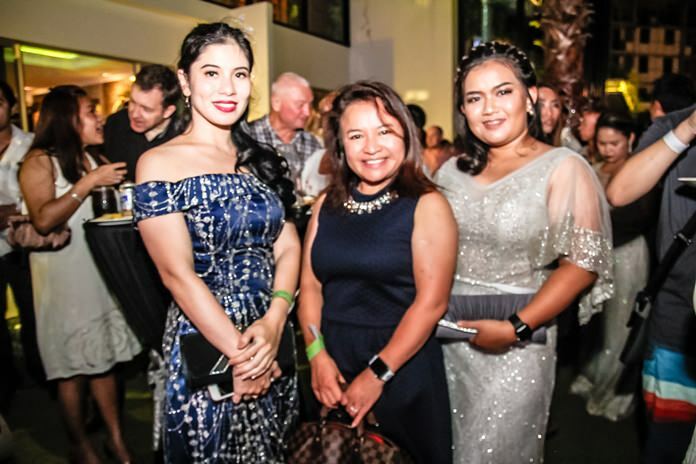 Entertainment for the night was provided by the Unity Band Pattaya. 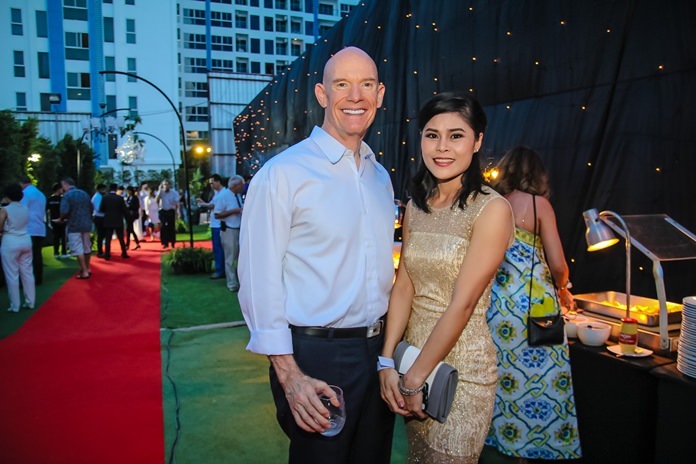 The main raffle prize was a pair of diamond earrings worth 350,000 baht. 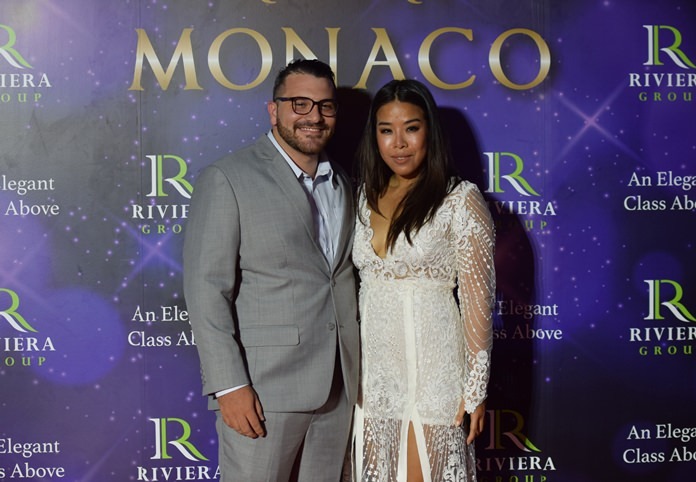 Following the success of the Riviera Wong Amat and the Riviera Jomtien, the Riviera Monaco was created to provide a new experience in luxury living and lifestyle. 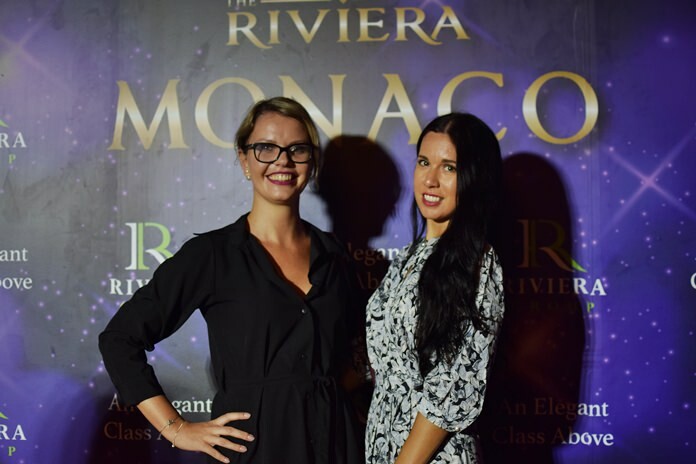 Riviera Monaco is also just minutes from the beach as well as main routes for those who prefer convenience. 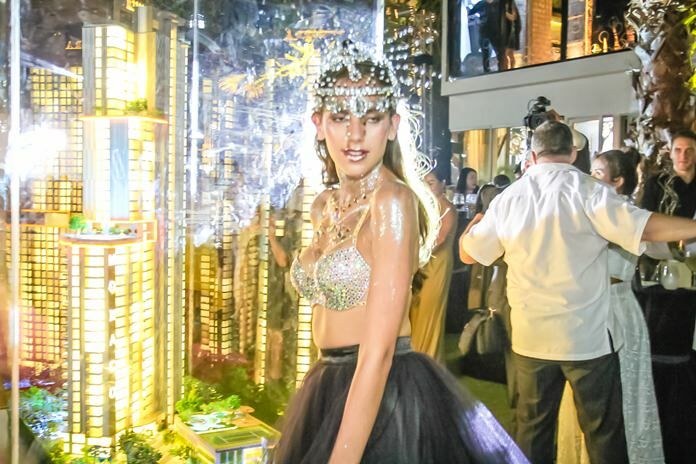 The project has passed its environmental impact assessment. 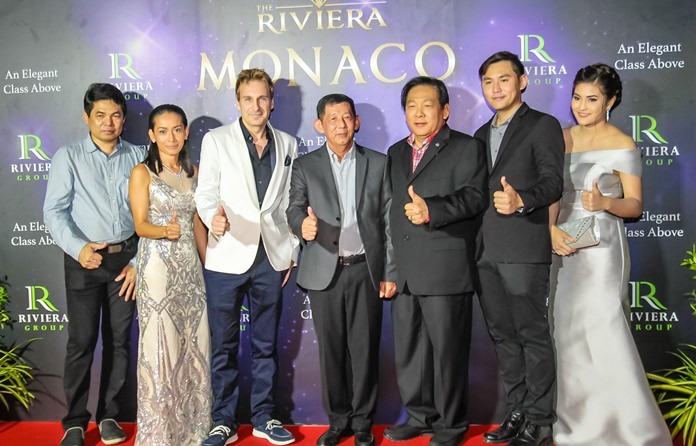 More than 30% of the property will be available for parking and recreational facilities with other amenities including infinity rooftop swimming pool, kids’ pool, playground, gym, sauna, game room, artificial waterfalls, tropical garden, tennis courts, 24-hour security and more. 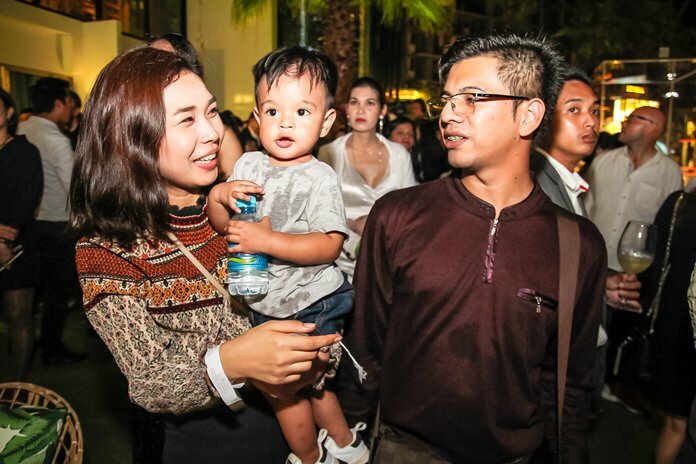 To celebrate their new launch, prices start from only 2.1 million baht. 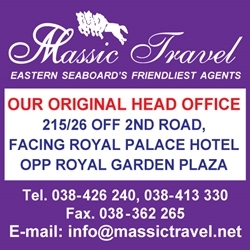 More than 70 percent of the units offer sea views and all come fully furnished. 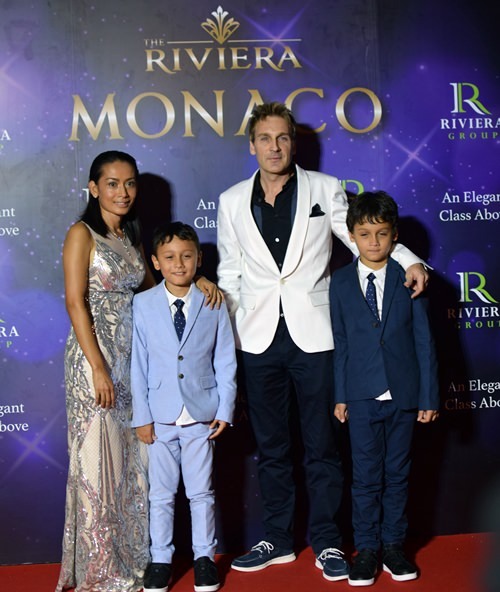 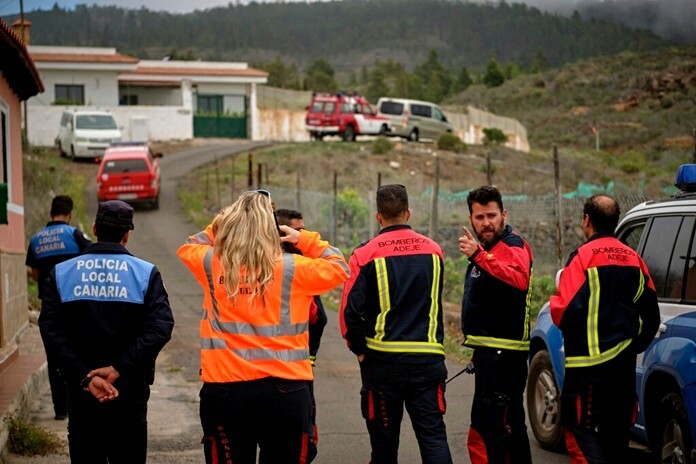 The project is family friendly with plenty of facilities to respond to both children and adults alike. 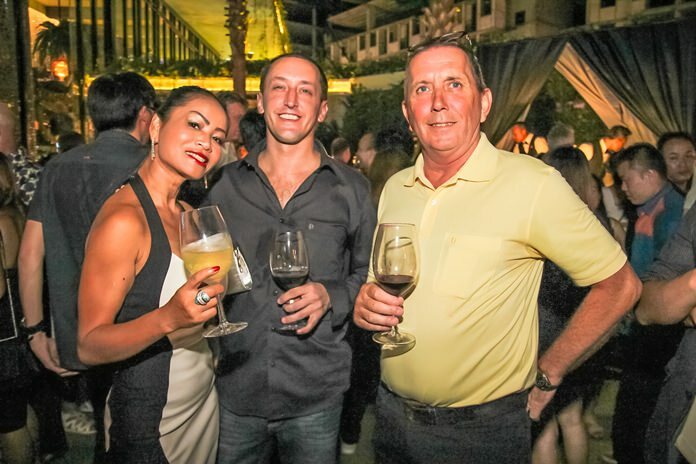 The maintenance fees are yearly and priced 500 baht per square meter, with a 50-baht monthly fee which is charged once a year in advance and considered price friendly. 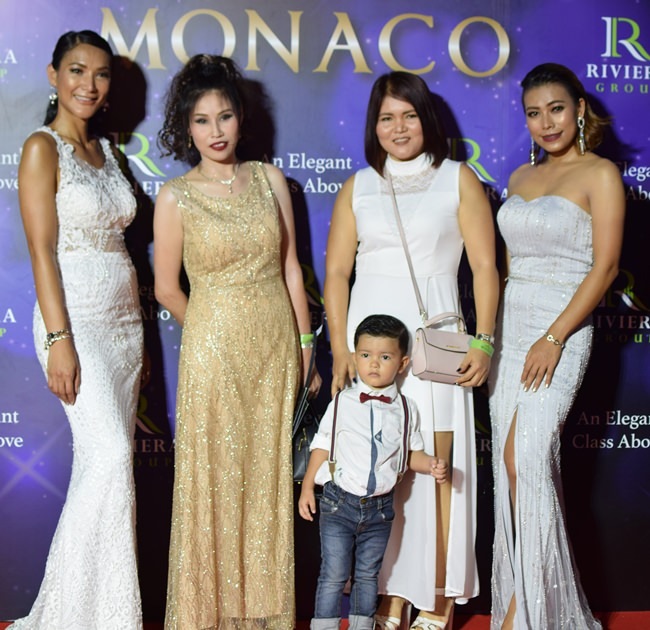 ‘An Elegant Class Above’ the Riviera Monaca is estimated to be completed within 2021 and will become the new landmark for Pattaya as well. 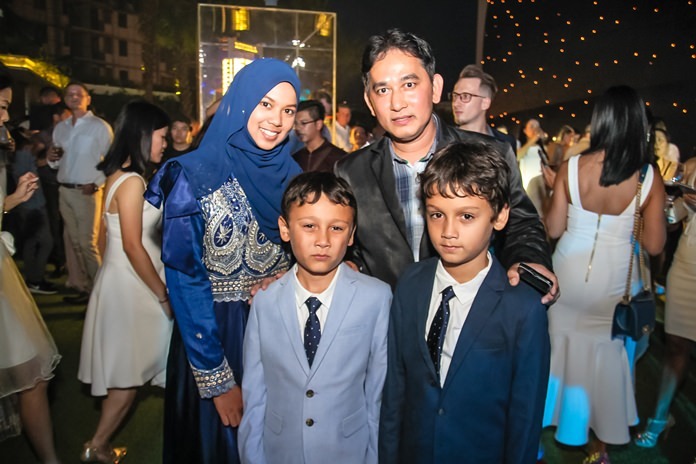 Multi Award Winning Developers Sukanya and Winston Gale proudly pose with their sons Austin & Toby. 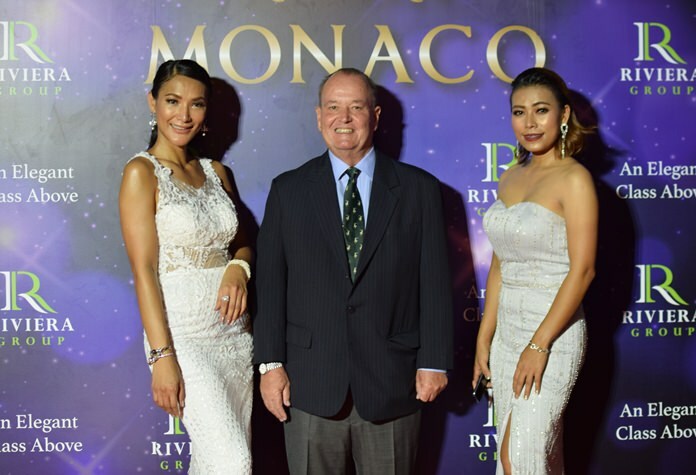 Winston and Sukanya welcome their good friend Kanapot Nitsiripat. 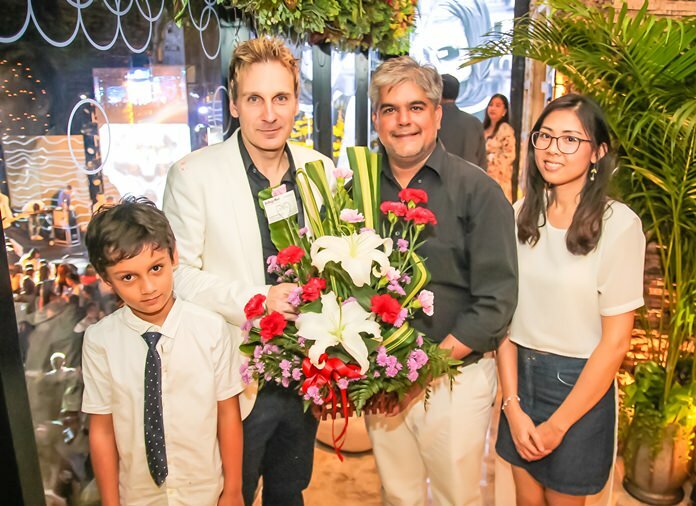 Winston Gale receives good wishes from Tony Malhotra, Director of Business Development together with Nutsara Duangsri, Sales & Marketing Manager of Pattaya Mail. 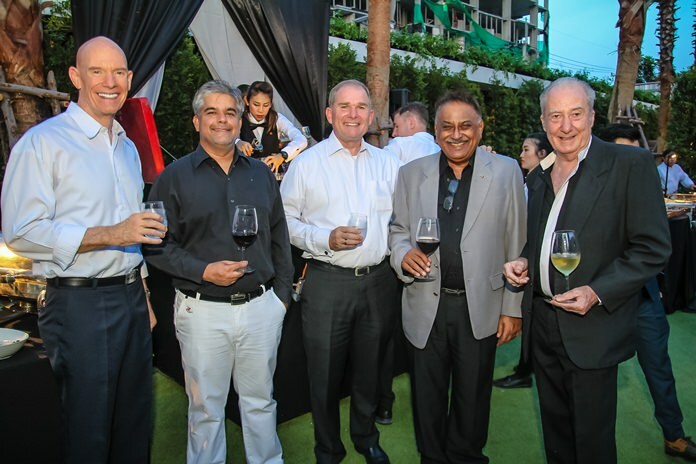 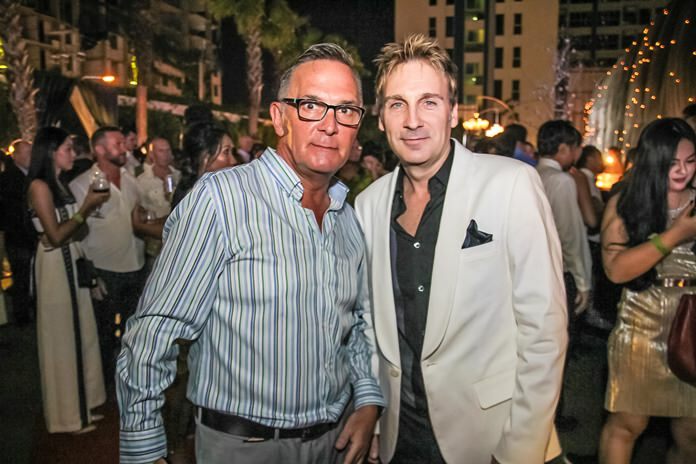 Mark Hudson, Tony Malhotra, Robert Rijnders, Senior Vice President of ONYX Hospitality Group and Area General Manager of Pattaya, Peter Malhotra and Dr. Iain Corness enjoy the lavish setup catered by the Amari Pattaya. 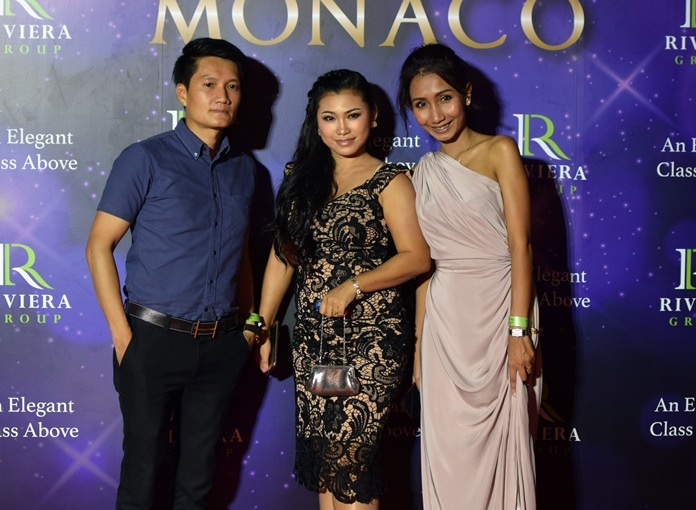 The very lively Unity Band entertained the guests. 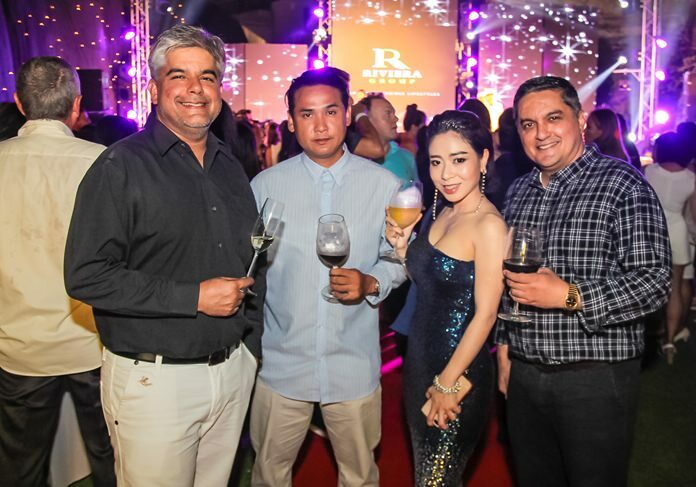 Tony Malhotra with Vissanu Saropala, Pragaiwan Mathurost, Sales Manager, Baraquda Pattaya and Prince Malhotra Dep. 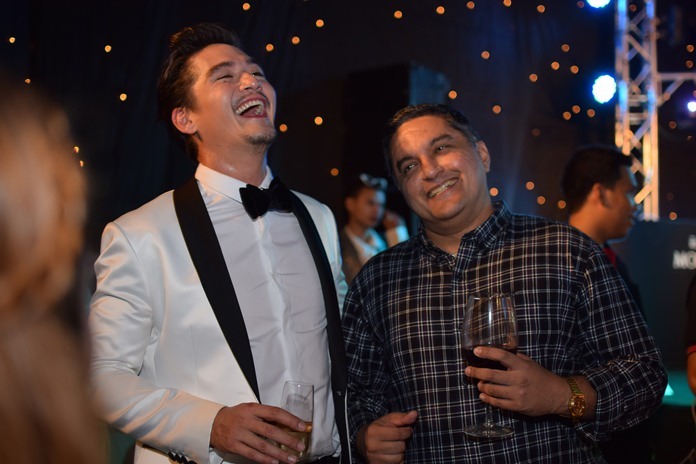 MD of Pattaya Mail. 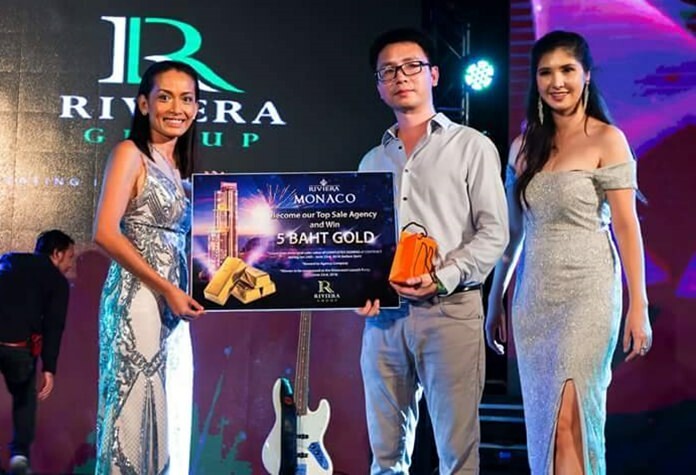 Sukanya presents a token of appreciation to top agent Mr. Nico Lou of Top Ocean Property. 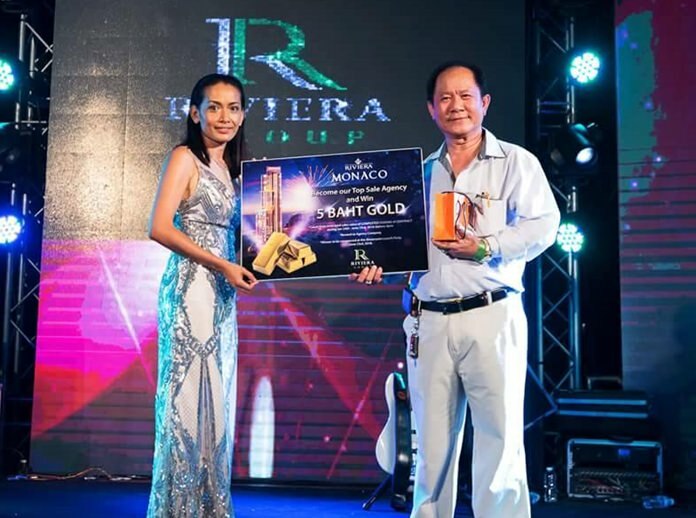 Hasdinthep Kachorndecha of Plotter Property is thanked for his tremendous sales achievements. 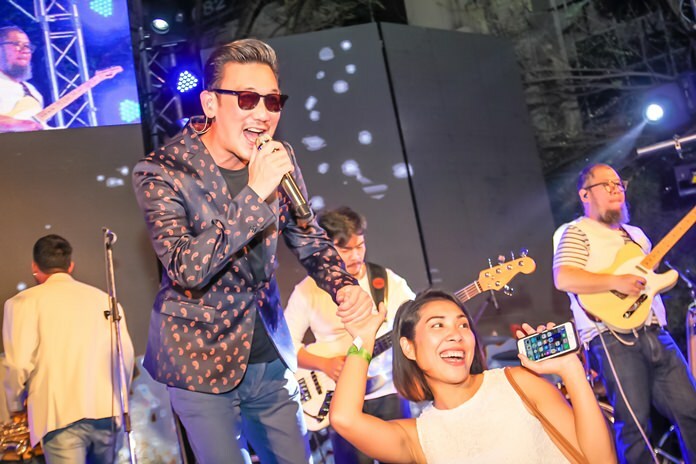 Superstar Burin Boonvisut was a huge hit. 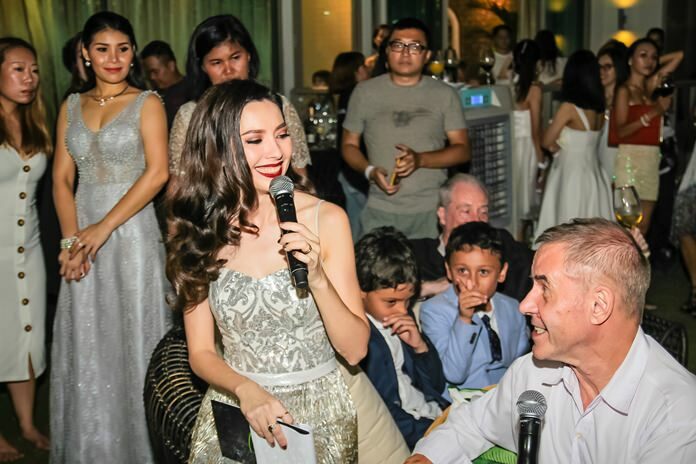 The ever so delightful Elizabeth Sadler had a good rapport with the guests. 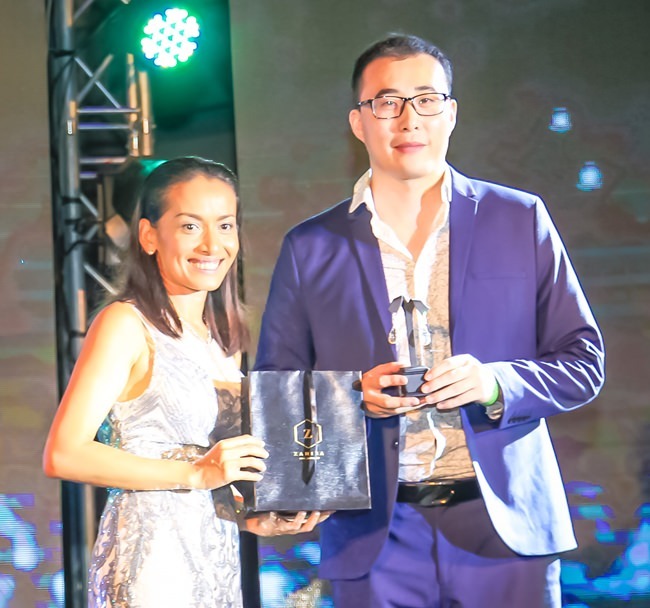 Sukanya Gale presents the diamond earrings prize to the lucky winner. 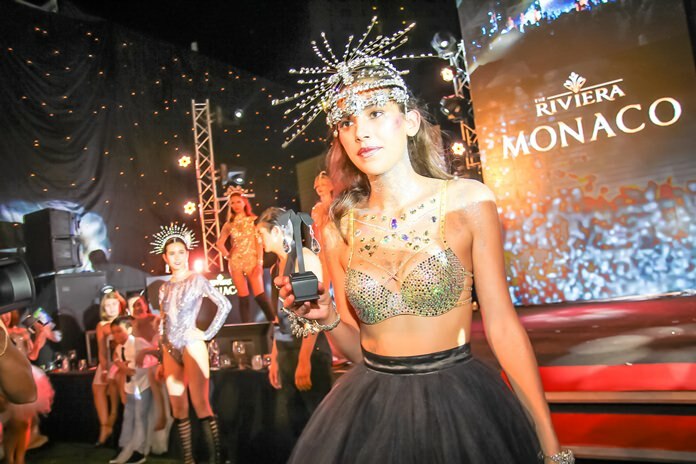 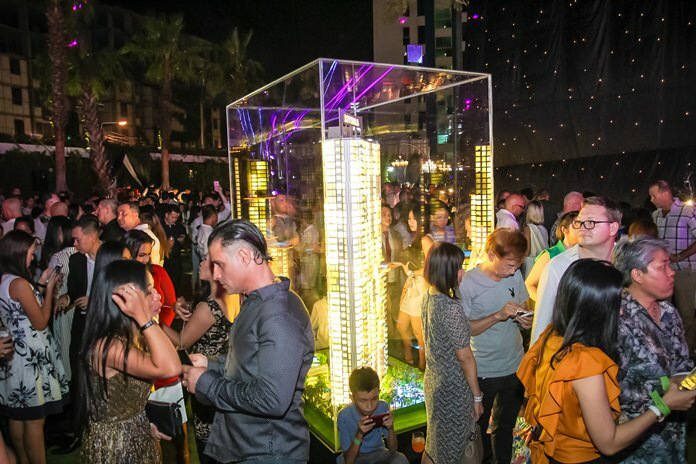 A scale model of the elegant Monaco takes centre stage amongst the revelers. 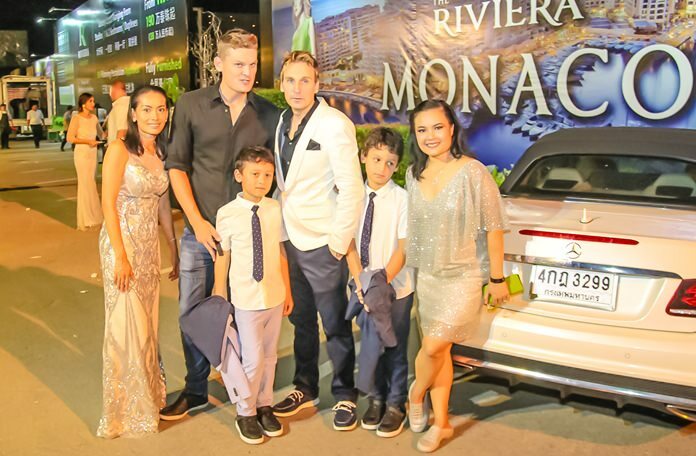 And what it night it was, the Gale family with Ubonjitr Thamchop (Min) (right) Marketing Manager of the Riviera Group. 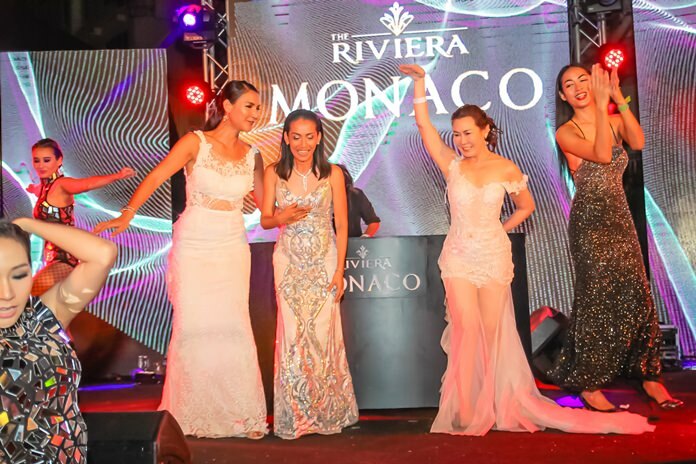 True to its name, the Riviera Monaco sparkled with glitz and glam.